Below are a few insights for those that intend to travel to US Virgin Islands. The most renowned of the islands, and which you must visit, include; Saint Thomas, Saint Croix, Saint John and Water Island. Of course there is a host of other minor islands. USVI's total surface area is 133.71 square miles. It is home to 106,405 inhabitants. Major economic activities on the island include; tourism, rum manufacturing, and small scale agriculture. The islands, being part of the US are a presidential democracy. The official language is English and the capital city is Charlotte Amalie. The demographic spread in the islands is as follows; Afro-Caribbean (76%), white (15.6%), Asian (1.4%), others (2.1%). USVI's temperature is tropical savanna. It averages about 27degrees centigrade throughout the year. A majority of the citizenry are descendants of the people brought from the West African coast to work as slaves in the United States. To get to the islands, you can book a flight to Henry E. Rohlsen International Airport or Cyril E. King International Airport from where you can be driven to your hotel. Note that the USVI is the only place in the US that has its vehicles driven on the left. 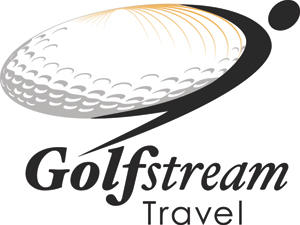 Golf Stream Travel will help you plan your trip to US Virgin Islands.